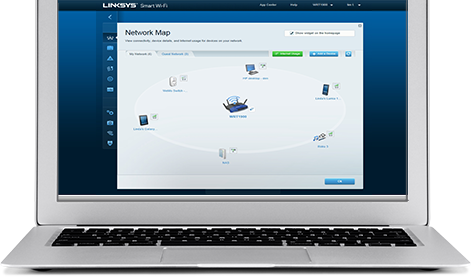 Linksys Smart Wi-Fi Wireless Routers come equipped with Smart Wi-Fi software to make it easy to set up and monitor your home network. Use free Smart Wi-Fi tools to optimize your web surfing and media streaming experience at anytime, from anywhere. 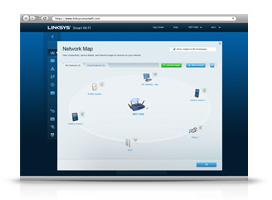 See which devices are connected to your network at any time. Grant guest access to up to 50 guests, while keeping your network files safe. Limit internet access to any networked device. Check your Internet upload and download speeds. Share content from your connected USB storage drive. The router will broadcast a wireless signal to your Wi-Fi enabled devices like gaming consoles, TVs, mobile devices, and printers. 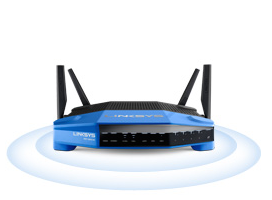 Account information is confidential is only used to verify access to your home router settings.